It’s that time of year again…where families are gathered and memories made in ugly sweaters and Santa hats. But it’s also a time of reflection for some – those that reflect on the year past and the year to come. We check mark the experiences and “To Do” list we set out for the year and we make new lists. What’s on your list for 2014? Just as the infamous Transcendentalist Ralph Waldo Emerson stated, life is an experience. Good or bad. 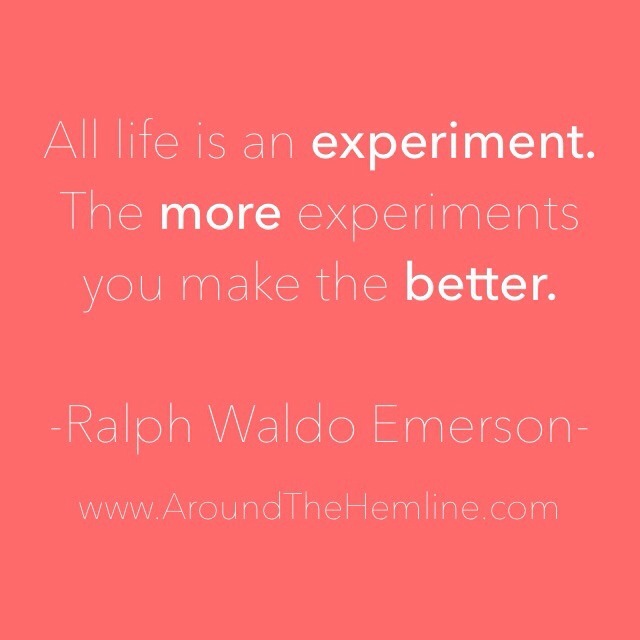 So the more that we live life and experiment with the things we are curious about, the more experiences we have. This doesn’t mean “YOLO” (for those who aren’t familiar with the phrase made popular by Canadian rapper, Drake in recent years means “You Only Live Once”) and live carelessly and irresponsibly but to truly make choices of experiences that grow you and possibly positively change you. I typically get asked why I move around so much. My answer to them is “Why Not?” There is so much of the world to see that I feel I would be doing my life injustice to NOT go and live in these cities especially if the opportunity is readily available. I love the fact that I’ve lived in our Nation’s Capital (Washington, D.C.) and one of the fastest paced cities (New York, NY) and in the sunny smog-congested city (Los Angeles, CA…still love ya LA!) and even in the Finest City (San Diego, CA) within 10 years (not to mention my long-time stay internationally in Japan). Within these cities, I learned more about myself and gained not only personal growth but career growth as well. So all in all, go out there and experience everything life has to offer! “You Only Live Once” but if done right, you only need one. Thanks for reading my posts!! I’ll definitely check your site out too!